It’s hard to finish writing a book, close that chapter in your life, release it to the world and then wait. Authors can’t be sure of much – will or won't it sell? Will readers like it, find it, remember the story? The important part of any launch . . . not how much money a book makes, but that it’s out there to be read. It's really not about giveaways, timing, pre-orders, promotions. It's about people. With the launch of A Portrait of Love and Honor this past week, the memories I most cherish are the people . . . the men and the women who came out and supported me and the book in myriad ways . 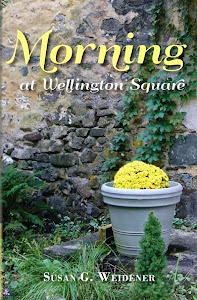 . . taking time out of their busy lives to attend signings, talks, purchase the book, post reviews, share their own aspirations to write and publish. This past weekend marked a special Armed Forces Day signing and celebration for a A Portrait of Love and Honor. I met a Vietnam veteran who shared his story . . . his year there as a young soldier . . . his story tinged with both candor, sadness . . . and reluctance to go to war, but a casualty of the draft. I met a young man who served with Army ROTC at Camp Buckner, which is where Jay spent his “Whiter Shade of Pale” summer as a Yearling at West Point. Alex's journey as an avid reader of military fiction and nonfiction, as well as memoirs, led to conversations and a book he selected for me to read - a memoir by Karl Ove Knausgaard. It is these experiences and encounters that make life special in a world - to quote Jay Scioli, the hero in my book - where honor is often lost or considered the naive aspiration of youth. My first Google Hangout entitled Breaking the "Rules" of Writing on Memoir Writer's Journey. Watch it here. What can I say? Although I worried too much about how my hair looked, the lighting in the room, and whether my dog, who gnawed a bone at my feet during the interview would be heard on the audio, it was both fun and educational. 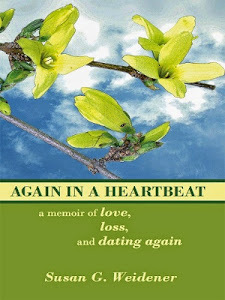 I am so very appreciative to memoir author and friend Kathy Pooler for interviewing me about my books . . . and for those writers who took the time to watch our Hangout and comment. This week also marked my first PowerPoint presentation to go with my talk “Writing a Novel Based on a True Story.” I highly recommend this technique. Everyone agreed that the photos of the Santa Catalinas in Tucson, the cadets at West Point, a farmhouse in Chester County, enhanced the readings I selected from the book and helped bring the story "alive." 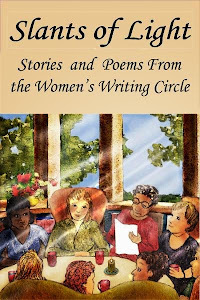 Another wonderful moment: A beautiful review from Renee Roberson at WOW! Women on Writing, who compared Jay’s story to a Pat Conroy novel. You can read Renee's review here. Friends enhance and make a book launch a journey of the heart and soul. As Thomas Aquinas said: "There is nothing on this earth more prized than friendship." Special thanks to Diane Yannick, who attended both my book signing at Chester County Bookstore and my talk at Chester County Library. And to friend and editor in dark shades, Edda Pitassi, who - while we may have disagreed at times on the direction and the vision for the novel - has been there throughout. I couldn't have done it without her. 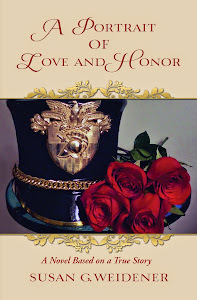 Thanks also go to authors Maureen Barry and Boyd Lemon for their heartfelt reviews this week of A Portrait of Love and Honor. And to Betty Madden; friend and muse. The journey goes on, goes forward and is ever gratifying. How about you? Please share your own launch, or memories of those who touched you on this journey of authoring.